In the universe of rug-fabrics, wool is considered one of the finest, owing to the touch, feel & practical benefits of this natural wonder-fiber. Wool has many qualities that place it far ahead in the rug-making business – e.g. 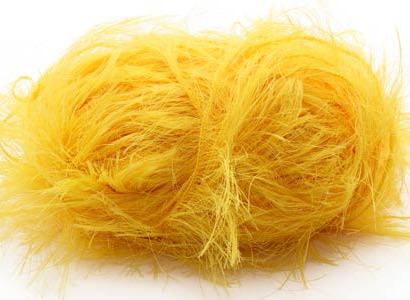 high durability, ease of dyeing, natural abundance, stain resistance, flame-deterrence, warmth, rich look & feel etc. Wool is a luxurious choice for a classy rug that can last you for decades altogether; ‘luxurious’ being the operative word here. A couple of qualities limit the usage of wool rugs to certain geographies & weathers – with a tendency to absorb humidity & its natural warmth – wool rugs are less popular in tropical / warm climates. Cotton is one of the most familiar & comforting feels for most of us; it also is an inexpensive material to pep-up our home decor. 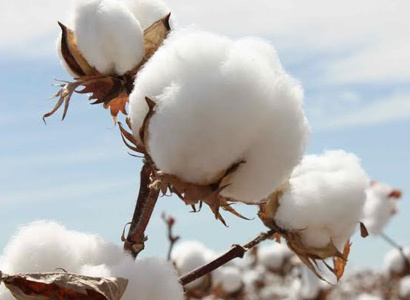 Cotton also comes with its own limitations, in addition to being a dirt magnet, it wears off rather quickly, as compared to wool or silk. The upside of cotton being ease of coloring & washing – making it apt for home use. Cotton rugs are great for floor seating arrangements. 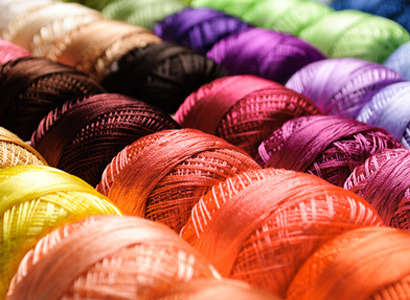 Polyester is another option from our economical gamut of fibers with great resilience, dying response, shine, wear & fade resistance, comfort, non-allergenic qualities, moisture resistance, ease of cleaning, moth-proof qualities. While the fiber poses a few challenges for us in terms of being – prone to piling, oil stains & dirt attracting – A few precautions like keeping them away from high-traffic areas, frequent & easy washing can go a long way in prolonging the life of this material. All these factors, in addition to the fact that polyester is cheaper than wool & nylon make it a preferred choice, more so, for shaggy rugs. 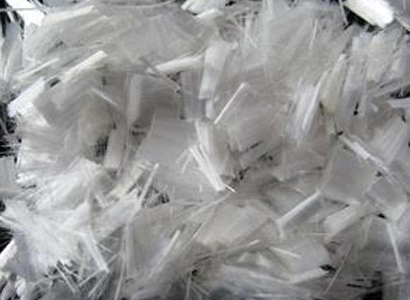 Just like polyester, polypropylene is an inexpensive material, widely used for rug production. 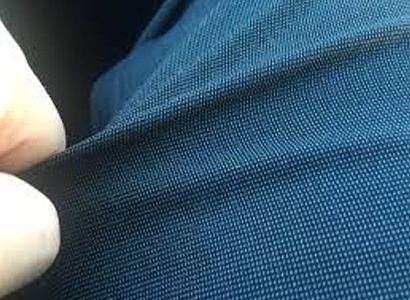 This material is stain-resistant & economical, but it comes with its own limitations of difficulty in dying, lack of resilience / durability which makes it a good product in the beginning, but also something that wears off soon & becomes brittle with the passage of time; however with careful manufacturing, Propylene can give amazing results. Silk, contrary to the popular perception of being delicate & care-intensive, is a strong & long-lasting fiber, when used in rugs. Silk rugs redefine rug-feel & their luxurious luster set them a class apart. Silk is often blended with wool to mitigate the high price of the former; this tames the silky gloss but adds resilience & affordability. Silk rugs, blended-with-wool or not often call for professional cleaning as they are dirt-magnets, prone to retaining foot / furniture impressions. It is wise to use silk in low-traffic areas, to enjoy its expensive finesse, for a long time. Jute is a natural grass rich in texture. Jute rugs are low-maintenance & skin-friendly - apt-for an easy-going life-style. 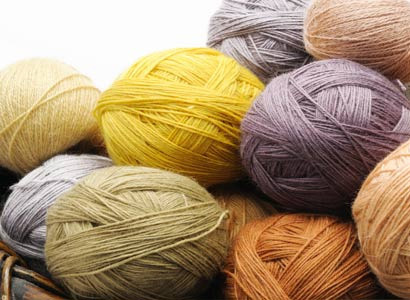 Jute is a friendly fiber that blends well with natural & synthetic fibers alike. The natural earthen color makes it blend easily with almost all kinds of interiors. Like all the other fibers Jute also comes with its own limitations – this dirt-magnet is low on durability, hence needs to be placed in low-traffic areas & requires frequent cleaning. This material tends to fade quickly in direct sun-light. Hence, Jute rugs are apt for low-traffic indoor spots like living-room, bed-room, study etc. Synthetic is very family friendly easy to clean to material its very good in damp environment and also can be used outdoor and high traffic areas. Synthetic gives the feel of both natural fiber and wool. Synthetic is a perfect material to use in kitchen, Mud room and basement. 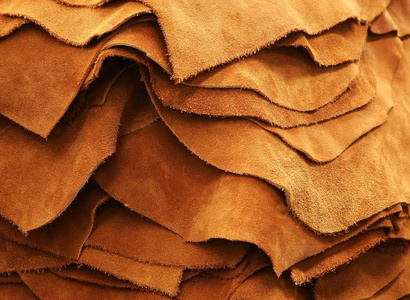 Leather Rugs are soft, durable & easy to clean, they are usually stain resistant & relatively small in size, hence are easy to handle & maintain. Leather rugs have been in use for centuries & have a unique look & texture to them. Brush away the stains with a little water to keep these visual delights spick & span. 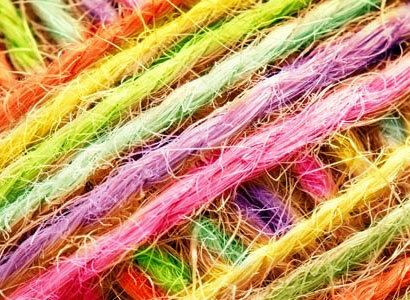 Wool & silk are the two staple fibers used in Rug-making business. 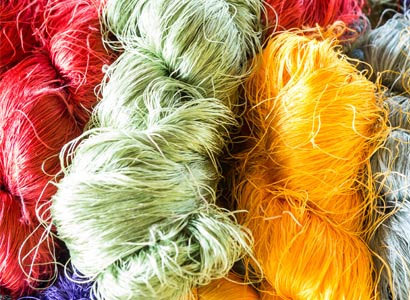 A blend of these two fibers can be a good idea for those who want the best of both worlds in their rugs – while Wool brings in resilience, silk brings in an amazing sheen to the blend. This blend is a marriage made in heaven, capable of revamping the look of practically any part of your home, irrespective of traffic, furniture density, only asking for regular cleaning, in return! Wool rugs are some of the most used natural-fiber-rugs, across the world. Given the high cost of pure-wool rugs, this Wool & Polyester blend presents a low-cost alternative for rug shoppers on a budget. While polyester is good at retaining color it does take a few years away from the rug & tends to look worn-out sooner than pure wool rugs, hence it is advised to keep these rugs in low-traffic areas.